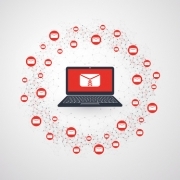 Looking to master your Operational data? Authored by leading experts from Discovered Intelligence; the new Splunk Operational Intelligence Cookbook provides hands-on, easy to follow recipes that will have you mastering Splunk and discovering new insights from your operational data in no time. Leveraging our years of expertise, the book is filled with best practices and packed with content, that will get you hands-on with Splunk right from the first chapter. 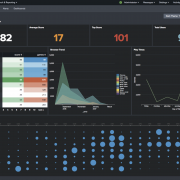 In a technology-centric world where machines are generating vast amounts of data at incredibly high volumes, Splunk has emerged with their industry leading Big Data intelligence platform – Splunk Enterprise. 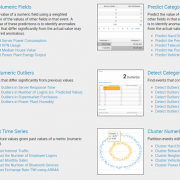 Splunk is a data collection, indexing, and visualization engine for operational intelligence. 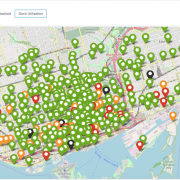 This game-changing, powerful platform enables anyone to turn machine data into actionable, and very valuable, intelligence. This book takes you on an operational data intelligence journey. 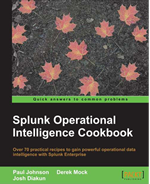 The book contains more than 70 practical recipes that build up your knowledge of Splunk’s many features, which you can then apply to real-world operational intelligence scenarios. Right from the first chapter, you will follow recipes that progressively build upon one another. The recipes provided will demonstrate methods to expedite delivery of intelligence reports and empower you to present data in a meaningful way through dashboards and by applying many of the visualizations available in Splunk Enterprise. You will start by importing data into Splunk, then search event data using Splunk’s SPL (Search Processing Language), and then move on to building visualizations based on reports. You’ll walk through the concept of dashboards and will delve deeper into the data using transactions, subsearching, concurrency, associations, and more advanced search commands. Yes I want to order my copy right now!